AMHERST, NS – Trider’s Craft Beer has announced the release of a new seasonal beer that uses the pick of the autumn harvest. Hand roasted pumpkins with just the right amount of brown sugar; you’ll find no canned purees here. Our traditional pumpkin ale uses only this year’s harvest and a secret blend of fresh organic spices. Cheers to Samhain! 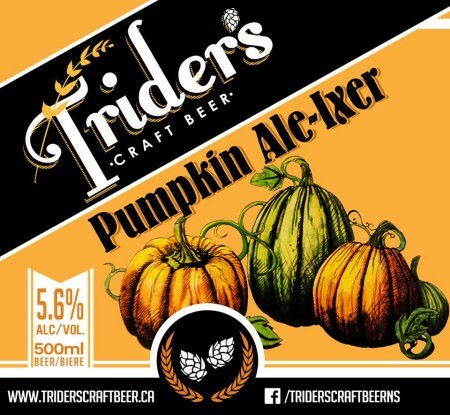 As noted by Maritime Beer Report, Pumpkin Ale-Ixer is limited to a single 7-barrel batch, and will be available at Trider’s in 500 ml bottles while supplies last.